A fresh bill drafted by several Russian Federation Council lawmakers bans any retail sales emergency contraception drugs and allows their distribution only through licensed medical institutions. “In order to rule out the uncontrolled use of pharmaceutical drugs destined for interruption of pregnancy, we suggest the introduction of a direct ban on their retail sales and also make up a full list of organizations that will receive the right to buy them wholesale,” reads the explanation offered by the authors of the bill. The draft law provides that medical institutions could still offer services of artificial pharmaceutical interruption of pregnancy. Among the sponsors of the bill is Elena Mizulina, known for her relentless struggle against abortions, surrogacy and other things supposedly causing demographic crises in Russia and other countries. In May last year, when Mizulina was a State Duma MP representing the center-left Fair Russia party, she prepared and drafted a bill limiting state insurance payments for abortions, banning private clinics from performing them and allowing women to buy morning-after pills only on prescription after an obligatory health check. The main argument was that the side effects of these drugs have not yet been studied and their irresponsible use can harm a woman’s health. She proposed that any woman seeking an abortion should undergo an ultrasound scan of her womb as, “according to statistics, up to 80 percent of them refuse to have the abortion when they see their child on the screen.” She also suggested using about $100 million saved through the ban on state sponsorship of abortions for aid to pregnant women who find themselves in a difficult situation. 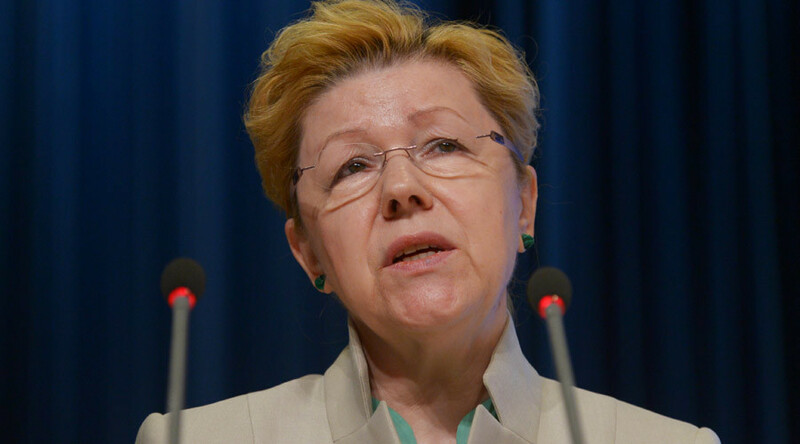 In 2013, Mizulina said in a speech that the community must urgently stop tolerating abortions and surrogacy as they threaten to wipe out the population in Russia, and in the world as a whole. It was then that she first suggested tightening regulations on the termination of pregnancies and making morning-after pills a prescription drug. In mid-2014, a group of activists representing the Russian Orthodox Church told reporters that they had gathered 100,000 signatures for a petition calling for lawmakers to completely outlaw abortions in Russia (according to the Russian law this automatically makes the petition a valid legislative initiative). However, this move has never passed the parliamentary expert committee.